I love Dubai, the hotels are amazing, there is so much to do and they really know luxury. 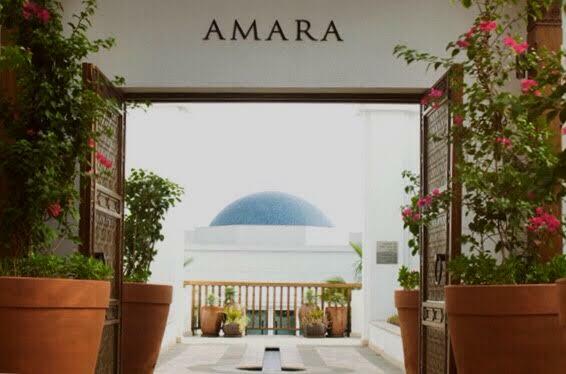 Last time I was in Dubai, I went to Amara Spa located in the Park Hyatt Hotel. I was really excited to go and relax for the a few hours. 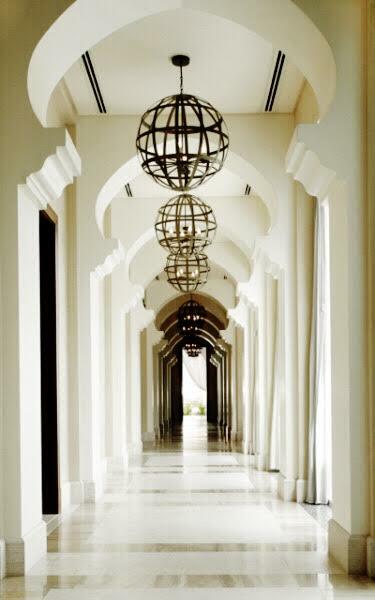 The theme of the spa is ‘Arabian Nights’, it is all white and blue. It really makes you feel like you are on vacation somewhere magical. Amara customizes your experience, it is based on the ancient healing therapies. They have 4 therapies you choose from and you can mix them, Emerald for detoxifying and healing, Ruby for age defying and protecting, Diamond for clarity and energy and Sapphire for relaxation and calmness. The 2 treatments I received were the Aromatherapy Amara Massage Sapphire (695aed, aprox $190) and the Enrich Body Scrub Diamond (415aed, aprox $135). My friend got the 90 min Thai Massage, she said she liked it. 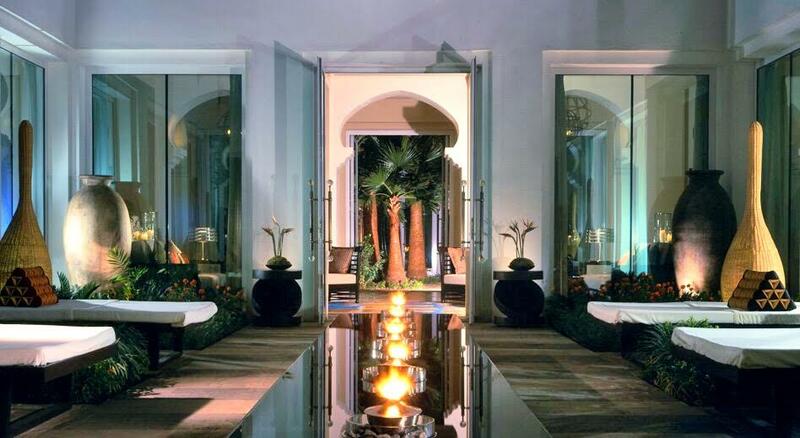 The experience started out with a warm foot bath and hand massage, in the patio of your spa suite. 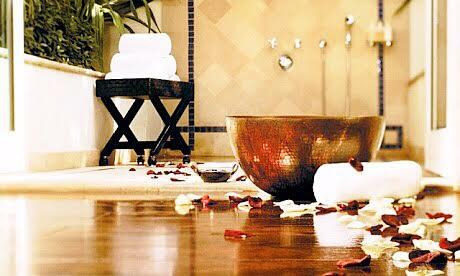 The foot bath is filled with rose petals and relaxes you. You choose from a music menu, all of the choices are soothing sounds to help you relax. There is also an outdoor shower on the patio. I chose the Amara Massage because of the scents, I love warm earthy scents. They rubbed me with sandalwood, amber, and frankincense. 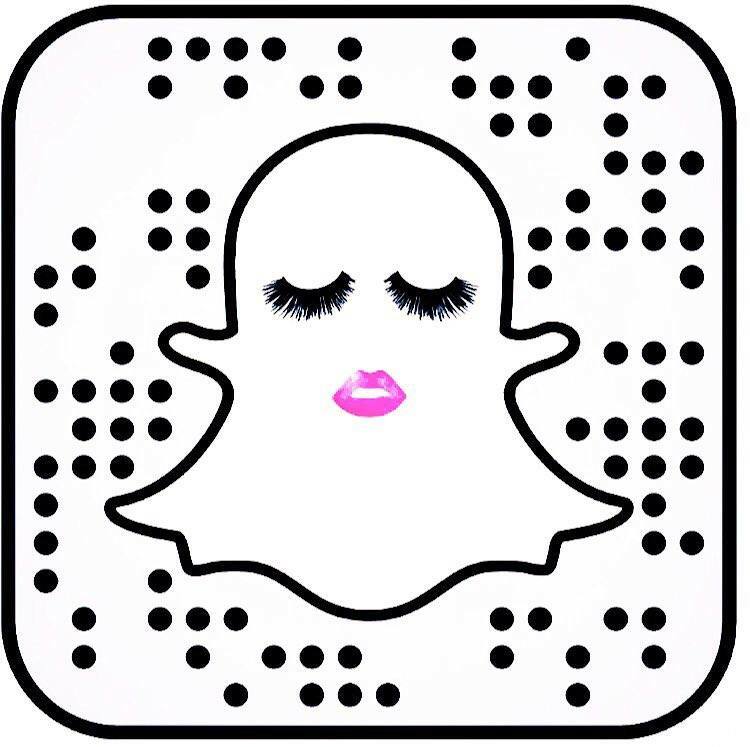 I chose the body scrub because I can not go to a spa without having one! After the rose petal foot soak and hand massage, I entered my spa suite. I started with the body scrub. It was incredible, it was so relaxing and she left my skin feeling so soft and glowy. They use dead sea salts, frankincense and oils to scrub you. It was 45 mins long and it felt like a massage too. After she is done scrubbing you, you rinse off in the outdoor shower. I wasn’t sure if I was going to like showering outside. I ended up loving it, it has such a tropical feel showering outside. I went back inside the room and was ready for my Amara massage. It is a deep tissue massage, they warm the oils, it feels and smells so relaxing. I wish they sold the oils because I would have bought them to bring back home. I felt like I was taken to another time, traveling through some mystical land that I never wanted to return from. I did the 75 min massage, I wish they had a 90 min one. The time really passes quickly (because it’s so amazing) and when she was done it felt like she had only massaged me for 15 mins. I didn’t want the experience to end. I wanted to book an appointment for the next day, that’s how much I loved it. Luckily my spa day wasn’t over. They take you to these outdoor day beds in a beautiful little courtyard. Where they served us tea. We also ordered lunch there and relaxed on our beds. Amara Spa is one of my all time favorite spas I have ever been to. It is peaceful, relaxing and luxurious. It’s a must if you go to Dubai. You will not want to leave, I didn’t. 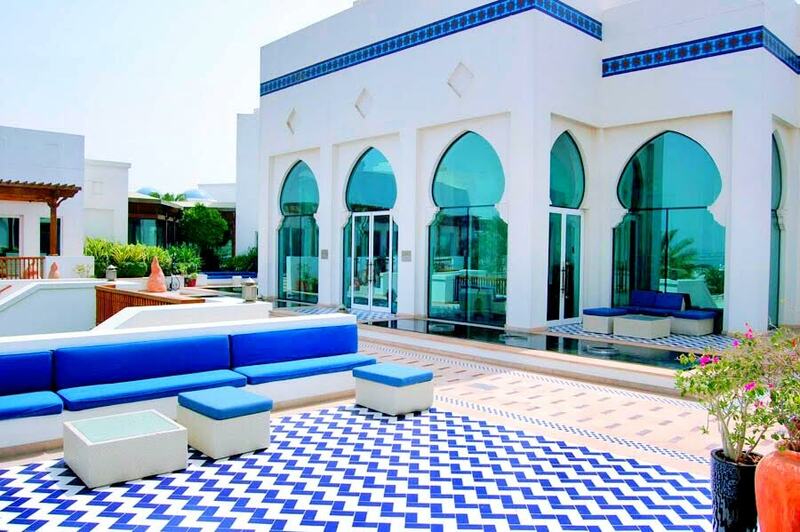 Check out more on Amara Spa Dubai here. Goregeous spa, it’s on my bucket list. Would love to read more about spas like this. Amazing, on my bucket list.